Our choice of quiet hotels & resorts... small & boutique or sheer luxury! 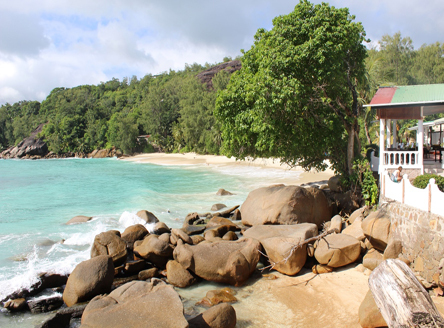 Just Seychelles offers a variety of hand-picked hotels in quieter locations. These can either be on smaller, secluded islands; on larger islands (such as Mahé or Praslin) but at smaller boutique hotels or guest houses; or in more luxurious resorts staying within the privacy of your own villa. 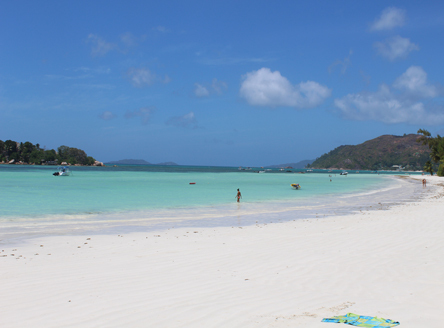 Whatever your choice, however, you are never far from glorious white sand beaches, stunning nature and warm Seychelles hospitality. 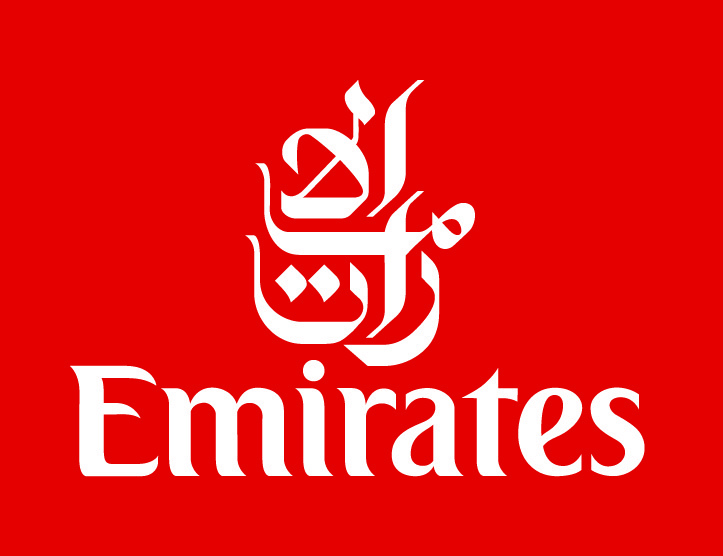 Browse our selection of the best secluded resorts, then call us for a detailed quotation. 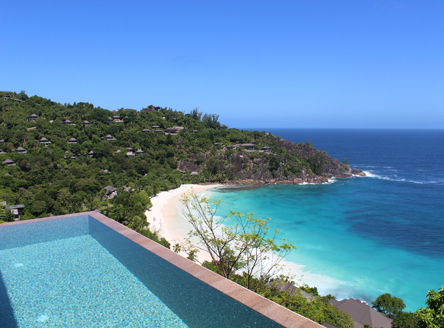 If you prefer one of our other Seychelles hotels, we'd be happy to discuss this with you. 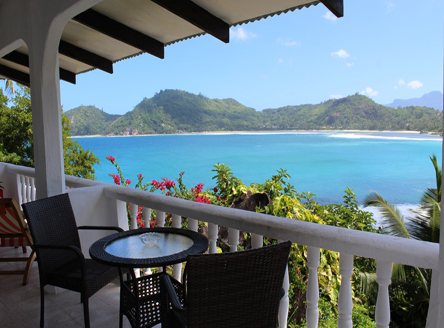 A lovely, and popular, small hotel set beside an exquisite beach on the west coast of Mahé. 5-star deluxe resort set in a breathtaking location beside Anse Intendance Bay in the south-west of Mahé. All Villas have private plunge pool and the award-winning Banyan Tree Spa should not be missed. Brand new boutique all-suite hotel offering just 40 suites overlooking a beautiful small beach on the north-east coast. With stunning views over the Baie Lazare on the south-west coast, these delightful, yet simply-furnished cottages are superb value. 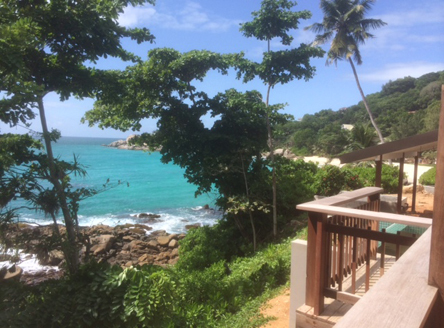 Raffles Praslin Seychelles - 5*Deluxe. Villas with private pools! After careful redevelopment, Le Domaine de l'Orangeraie now offers an exceptional selection of 62 villas. Facilities include a superb swimming pool (built out over the sea), two restaurants and a fine hilltop spa. Bird Island - a tiny island and an escapists paradise! 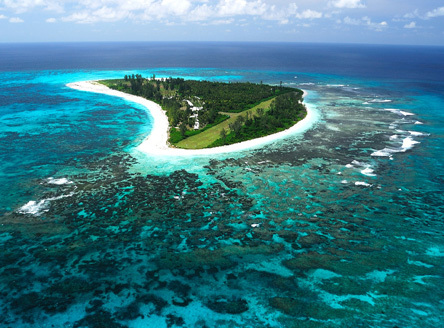 A private tiny island offering peace and tranquillity with just 24 bungalows. 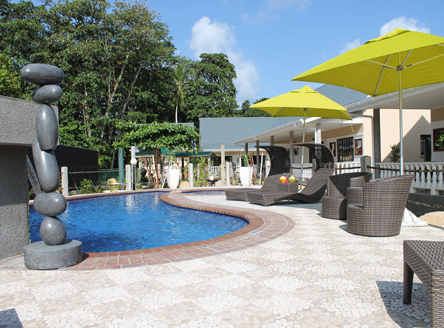 Relaxed and informal with comfortable accommodation, it's a bird and nature lovers paradise. Situated in the Sainte Anne National Marine Park, a lovely 'get away from it all' hotel offering a choice of just 24 private villas nestled into the tropical hillside. There's also a small spa and two pools. 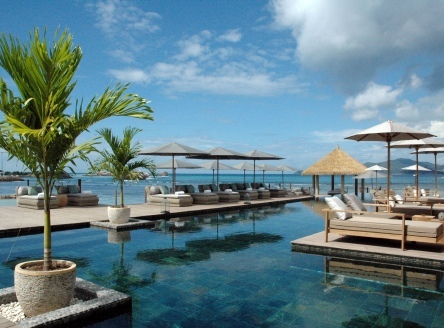 Enchanted Island Resort - private island with just 10 pool villas! A unique experience... exotic, exclusive and isolated! Only 20 minutes by helicopter from Mahé, it is an ecology haven. 16 individually-designed villas and fine dining mean that you will want for little on a stay here! True barefoot paradise, where many famous names have stayed! All eleven exquisitely designed villas have been lovingly hand-crafted on the island from local wood and stone. Stays here are truly on All Inclusive!